Designed in our understated Mini Cheetah print, this sleeveless top promises a subtle way to incorporate animal print into your wardrobe this season. Designed in our understated Mini Cheetah print, this sleeveless top promises a subtle way to incorporate animal print into your wardrobe this season. 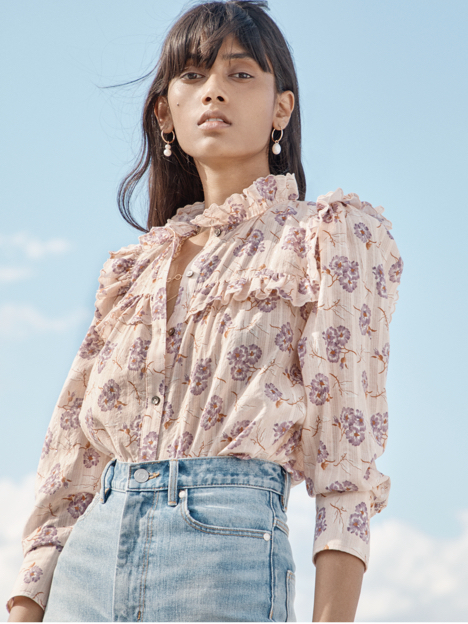 Crafted from a textural chiffon, its ruffled trim and slim ties at the neckline add a feminine quality while its neutral tones make it an ideal option for layering.